Gerrard comments on possibility of signing former Liverpool team-mate as rebuild continues | The Transfer Tavern | Where football transfer rumours fly or die! 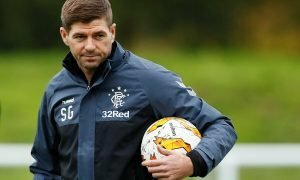 Rangers fans in the Transfer Tavern will be delighted with what Steven Gerrard has already managed to achieve during his short spell with the Light Blues and will be hoping he can have similar success on the field. The former Liverpool star has already signed seven players during his rebuild process, with more recruits expected to be added in the coming weeks. The club, which are currently undertaking a pre-season training camp in Spain, will look rather new to the locals in the bar when they do return to competitive football. However, according to a report in the Daily Record, Gerrard has admitted that one man that the Light Blues have been linked with will not be joining him at Ibrox this summer. Lucas Leiva has been touted to reunite with his former central midfield partner, however, the new Rangers chief has stated that it would be rather impossible to happen. “It is not possible,” Gerrard said to the Daily Record. 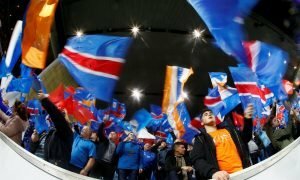 The Rangers fans in the Tavern would have thought it would have been a miracle to see the Brazilian join them at Ibrox, however, some of the locals may have held out some optimism that the pair could be reunited. 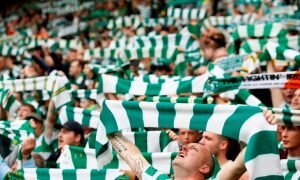 Despite Gerrard’s statement on the possibility of Lucas’ move to Scotland unachievable, the residents in the bar will be hoping to see a few more names arrive as they look to challenge their Old Firm rivals Celtic for domestic honours.